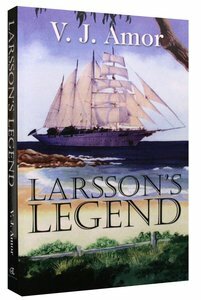 Customer Reviews For "Larsson's Legend"
What an refreshing read this book is. I started reading this life journey of Lars Larsson unaware as to how captivated I would become. Somehow as I journeyed through the pages with Lars I found myself continually reflecting on my own life and the life of others I know. Reading and re-reading the highs the lows; The uncontrollable influences and circumstances; The consequence of choice and chance that steer us through life and are so beautifully interwoven throughout this book. Reading this Book has certainly refreshed my appreciation of divine providence. Yes we live in the moment however this book reminds us to    rejoice in the journey of life regardless of the moment. A great read and worth keeping on the bookshelf.